Private Label Rights Special Offer! Here's Your Chance to Grab Our BRAND NEW Social Marketing Video, With UNRESTRICTED Private Label Rights! WHAT CAN YOU DO WITH THis VIDEO? This Way When People Watch Them, They Are Directed to Visit YOUR Sites! Add it to Your Membership Sites! Submit it to Video Sharing Sites! Give it Away To Build Your List! Use it As a Valuable Bonus! You Get .FLV and .AVI Files, so You Can Re-Brand The Video With YOUR Website URLs, and Drive Highly Targeted Traffic To Your Sites 24/7 on Autopilot! Learn How to Use Yahoo! 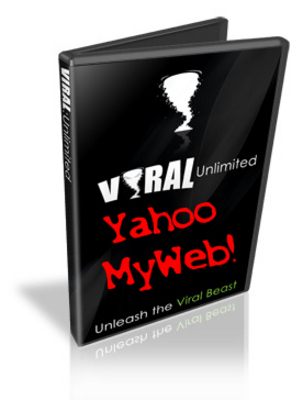 MyWeb For YOUR Online Business and Drive Highly Targeted Traffic To Your Site! Comes With FLV Files and AVI Source File! Your Video Report Comes With UNRESTRICTED Private Label Rights! Do ANYTHING You Can Imagine With It!